Vulture capitalists need to know that threatening America’s working-class communities will be met with consequences. Ann Marie Reinhart Smith worked at Toys R Us for 29 years. Now, the Durham, North Carolina, grandmother is unemployed after being laid off as part of the iconic American toy store’s bankruptcy and liquidation. Smith is just one of more than 30,000 U.S. workers who face unemployment as the 70-year-old retail chain unwinds its business. The superstore’s fall from grace is the result of a decade of disastrous management by the Wall Street firms that purchased the company and saddled it with billions of dollars of debt. 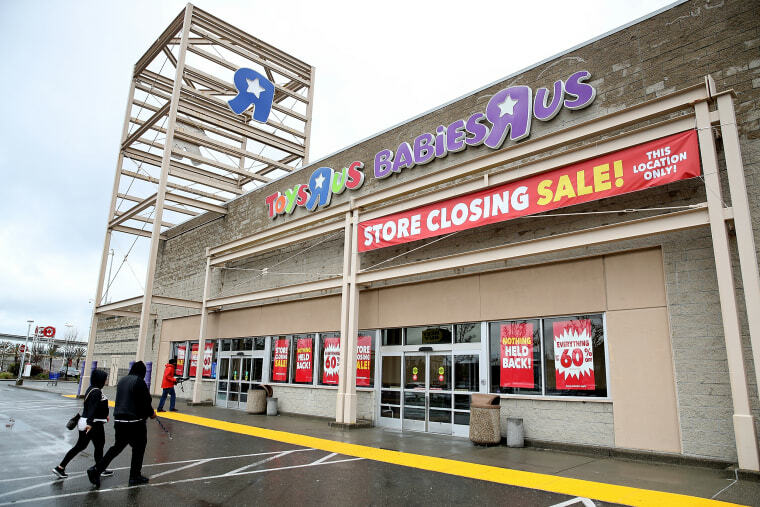 The fabled toy store finally collapsed under its crushing debt load this spring, causing the third-largest retail bankruptcy in U.S. history. And as a result, workers with decades of retail experience are being left with no jobs, no benefits and no severance pay. Hundreds of communities across the country will bear the social and economic cost of this plunder. Smith’s story is a potent reminder of the human cost that Wall Street vulture capitalists inflict on working class people in their seemingly never-ending pursuit of profit. Meanwhile, the private equity barons who bought the company in 2005 have reaped hundreds of millions in extracted profits, and top executives are leaving with $16 million in golden parachutes. And this isn’t just a problem for Toy R Us. Across the country private equity and hedge fund managers are taking advantage of retail workers to bolster their profits without regard for the middle class communities that they are destroying. In the process, these bankers are perpetuating a vicious cycle in which the rich get richer at the expense of working people. According to Fortune, the retailer generated $11.5 billion in sales in 2016, yet the once-profitable Toys R Us has been losing money, burdened by crippling long-term debt payments of more than $400 million to service its crushing $5.2 billion debt pile. This debt is a legacy of a 2005 leveraged buyout by Bain Capital, KKR and Vornado Realty Trust, some of the most high-profile— and, for labor activists, predatory — private equity firms in the U.S.
Fund managers don’t seem to care much about the families they are endangering — perhaps not surprising given their profits over the last decade. Thus, it seems clear that this problem will never be solved without outside pressure. “This is what happens when you have a system that allows private equity firms to destroy profitable businesses and throw workers out on the streets with no severance,” Sanders told the Toys R Us workers. Now more than ever, Wall Street fund managers are using dangerous highly leveraged buyouts to loot retail businesses. Like vultures, they scavenge on struggling companies. Sanders is right that this is a systemic problem. Now more than ever, Wall Street fund managers are using dangerous highly leveraged buyouts to loot retail businesses. Like vultures, they scavenge on struggling companies, and then dump the remains into bankruptcy court before moving on to their next victim. It’s time that someone held these companies accountable for their irresponsible and immoral behavior. Toys R Us workers met with lawmakers like Sanders on Capitol Hill to demand action in the face of this injustice. These workers are standing up to Wall Street on behalf of their families and communities, but they deserve the support of all Americans who care about economic fairness. Indeed, if Bain and KKR were to divide up all the profits they've made off of Toys R Us between the the chain's thousands of soon-to-be unemployed workers, each employee would receive about $15,000 in severance, a pittance for what in many cases is a lifetime of diligent wage work. If these greedy billionaires are not willing to do the right thing, Congress must step up and institute a windfall profits tax to make them pay. Of course, this will never happen. And so, if greedy billionaires are not willing to do the right thing, Congress must step up and institute a windfall profits tax to make them pay. Lawmakers and regulators should also move forward aggressively to police the dangerous leveraged buyouts that put so many working class communities at risk. Displaced workers need severance payments, communities need economic dislocation grants and Wall Street needs to know that threatening America’s working class communities will be met with consequences. The Toys R Us bankruptcy — along with massive job losses stemming from other deals at companies like Sears, Kmart, Sports Authority, Radio Shack and Claire’s — should be a wake-up call for Congress and financial regulators. It’s time to crack down on those who put profits before people. Michael Kink is the executive director of the Strong Economy for All Coalition. He also works for the Center for Popular Democracy.